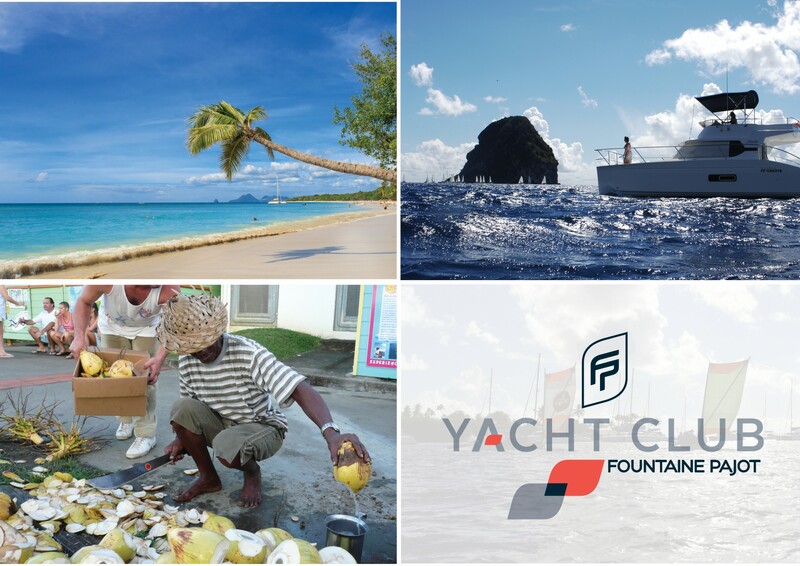 Fountaine Pajot has chosen Martinique to organize their 8th Owner’s Rendez-Vous, to support Caribbean Market, and to close the celebration of their 40th anniversary with Owners coming from all over the world. A way also, to spend 4 days with Fountaine Pajot Family…to share experiences and nice moments…with Owners, Fountaine Pajot team and journalists of your best magazines Partners…Multicoques Mag, Multihulls World and Cruising World US. Nice navigations, passing the Diamond Rock, wonderful moorings with special lunch, tasting of Rum and West Indies specialities, artisanal market, discovery of the Martinique Culture with some initiations, special parties, all is prepared to share emotions, in the respect of the environnement. In order to help all the Owners who would like to participate and who couldn’t come with their own boat, Fountaine Pajot Charter Companies parners offer special prices to rent a FP cat, so as AIR CARAIBES proposes the flights PARIS/FORT DE FRANCE/PARIS at a very good rate.